Buckingham Nicks was a 10-track LP by Stevie Nicks and Lindsey Buckingham. The album, produced and engineered by Keith Olsen, was recorded in 1973 for Polydor Records. It was released that September and proved to be a commercial failure. The album has since gained cult status. 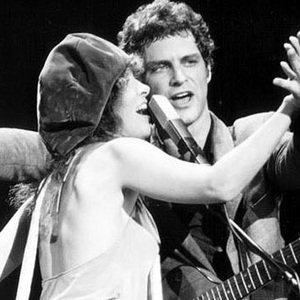 It was reissued in 1976 when Buckingham and Nicks hit the big time with Fleetwood Mac. It has yet to be released on Compact Disc. Buckingham has expressed an interest in the album seeing the light of day on CD. It has yet to be released on Compact Disc. Buckingham has expressed an interest in the album seeing the light of day on CD. He also suggested the possibility of a future joint Lindsey Buckingham-Stevie Nicks tour in the next few years to support the re-release. Buckingham-Nicks backing musicians Tom Moncrieff and Gary Hodges have also expressed interest in reuniting with Buckingham and Nicks in a possible future tour. A Bootlegged version of this album can be easily found on many sites around the Internet, along with a bootlegged live concert recorded in the 70's in Alabama, U.S.A.